A guarantee to put a smile on the face of all your guests attending the wedding is when they’re handed a slice of wedding cake also a few pounds in weight if not careful. Wedding cakes will always hold second place to the bride in looking glamorous on this occasion. But as simmering as the bride may be it is the cake we will be sinking our teeth into. 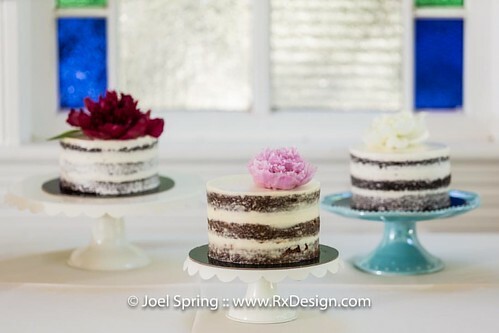 Wedding cakes are a major issue when piecing together your wedding plans. Cake type and flavours will be of your own choosing. Grand or simple from one tier two tier 3 4 5 if you want. This is your wedding cake so you get to decide. One very important thing you have to remember more tiers can lead to more tears if your budget is tight and you can not afford the cake you had your heart set on. Well let me let you in on a little secret which is, simple is just as tasty and fabulous as eye candy. There is no difference in the cake that stands tall. This is about taste, so the simple round mound and the replica of the empire say building will both taste exactly the same. There is just a thing dont expect second helpings of the simple choice. The wedding cake is finely detailed by the confectioner similar to a creator at work on a piece of canvas. The works that goes behind the making of a wedding cake is not as simple as it may look especially when it comes to decorating and adding decorations. Heaven forbid should you try to pipe cream a wedding cake with the shakes. Time is such an essential feature when ordering your wedding cake. It would be wise to speak with the bakery doing the catering to find out the best time to place the order. Your cake baker will know precisely how long it will take to make after you have given him/her the details on what design style flavour and ingredients. Be sure to ask how much it will cost because all little added extra to your wedding cake comes with a price. If you’re planning to wed in a flower garden or on the hot sun kissed beaches of Benidorm then let the confectioner know. If the baker has all this information under his hat he’ll attend to the needs of the wedding cake in a professional and sensible manner where he/she will deliver and place the cake in a suitable place. In other words they’ll protect it from the climate or weather conditions on the day. There are some really fabulous books out there to help you with ideas on how to decorate your own cake; this is a good option if money is tight. All you need to do is order a plain wedding cake and take it from there. If you’re terrified of botching it up dont fret, nip along to the baker and he’ll finish the job. Try it you really have nothing to lose but a little time. So what are you waiting for go save the pennies to put towards that going away outfit.